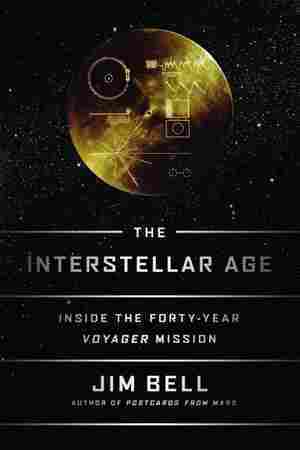 The Interstellar Age NPR coverage of The Interstellar Age: Inside the Forty-Year Voyager Mission by Jim Bell. News, author interviews, critics' picks and more. Planetary scientist Jim Bell delves into what drove, and what continues to drive, the members of Voyager spacecraft team. I believe our future depends, powerfully, on how well we understand this Cosmos in which we float like a mote of dust in the morning sky. We're about to begin a journey through the Cosmos . . . it's a story about us . . . how the Cosmos has shaped our evolution and our culture, and what our fate may be. Physics tells us that all things attract each other gravitationally, from pulsars to planets to petunias, even if those forces are sometimes too small to notice in everyday life. But if you look closely at the trajectories that your life has taken, you may notice the results of similar gravitational effects from the people you have known. Sometimes people around us cause massive swings in direction and speed that can propel us on toward new and undiscovered territory and experiences. That's what happened with me and the space exploration mission known as Voyager. The trajectory of my life has been guided by the slow, gentle, persistent gravitational pull of two elegant robotic spacecraft and the teams of people — scientists, engineers, mentors, students — who made their missions of exploration so marvelously compelling. Tak­ing advantage of a rare celestial alignment of the planets, those two robots, Voyager 1 and Voyager 2, gave us all our first detailed, high­-resolution, glorious views of the solar system beyond Mars, rev eal­ing the giant planets Jupiter, Saturn, Uranus, and Neptune, and their panoply of rings and moons, in all their awesome wonder — not just for scientists, but also for poets, musicians, painters, novelists, moviemakers, historians, and even kids. I happened to have been born at a time that placed me in college and graduate school right when the fruits of that fortuitous celes­tial alignment were ripening. By a random turn of a corner in a building, while walking back from class, I spotted a flyer from a pro­fessor who was looking for student research help. I soon found my­self involved in the missions of these extraordinary projections of human technology — something I had dreamed of since I could barely read. I felt as if I had been cast out into deep space myself seeing my life, and my world, from a completely new perspective. In one seemingly chance Forrest Gump-like encounter after another, the arc of my life has been shaped by the Voyager missions, and even to this day I find myself drawn to their power to lift the human spirit. Just think of these sophisticated creations-mere machines, yet projec­tions of ourselves — launched into my hero Carl Sagan's "shallow depths of the cosmic ocean," representing the integrated abilities, hopes, dreams, and fears of the more than 100 billion people who have lived on planet Earth and who, like me, have wondered, "Are we alone?" "What else is out there?" "What is our destiny?" These Voyagers — and by that I mean the people as well as the machines — have taken us all on a tour of the Greatest Hits of the Solar System, and we have all been privileged passengers carried along for the ride. Along the way, I went from a starry-eyed kid interested in astronomy and planetary science to a student learning the ropes from some of the greatest masters in the field, to — now — a practitioner of the art myself, with students of my own. It has been an adventure filled with astounding beauty, discovering new worlds so exotic that their alien landscapes were entirely unanticipated, facing unprecedented challenges, meeting and then saying goodbye to new friends and colleagues. . . .
And now the Voyagers are leaving the protective bubble of our sun and crossing over into the uncharted territory between the stars. They — and we, through them — are now interstellar travelers. Via their technology, their discoveries, and the messages that they are delivering to the galaxy on our behalf, we have all entered the Interstellar Age. This may be the ultimate legacy of the men and women and machines of Voyager. As we learn and grow as a species, as we begin to grasp the fragility of our existence and the fleeting nature of habitable environments in our solar system, we must adapt and move on. In the long run — the very long run — we will have to leave our sun's cradle and move out into the stars. The interstellar age is the inevitable future of humankind, and the Voyagers are our first baby steps along that path. I want to share that story with you here and convey, I hope, how special it has been to be witness to what historians of the future will no doubt regard as some of the most incredible voyages of exploration ever attempted. Reprinted by arrangement with Dutton, a member of Penguin Group (USA) LLC, A Penguin Random House Company. Copyright Jim Bell, 2015.